piezas inmediatamente después de su fabricación o manipulación. 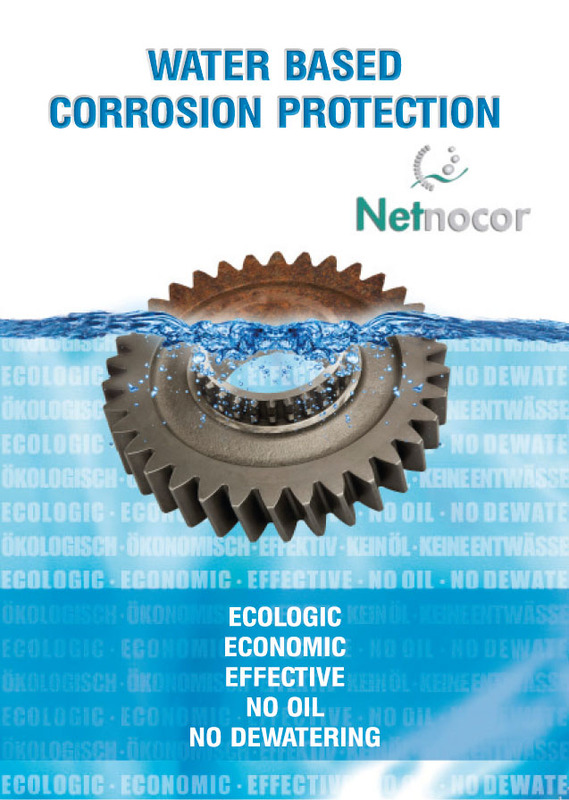 Ecological water based corrosion protection for production, storage and transport*. Innovative water based products to prevent corrosion between metal working processes without oiling and without de-watering, to keep cutting fluids free from oil contamination and for short term storage and transport in sealed packages. *For long term storage, transport or shipping, the parts must be in a closed space to keep the volatile inhibitors from dispersing. Netnocor 5154 Water based corrosion inhibitor for Steel & Iron. Invisible, dry coating. • Protects parts after casting, hot forging or other oil free processes. • Additive for washing lines. Same as 5154, less concentrated. Water based corrosion inhibitor for Steel & Iron. Invisible, dry coating. • Protects parts after casting, hot forging or other oil free processes. Copper, brass, Bronze, Steel & Iron Invisible, dry coating. • Protects parts after casting, hot forging or other oil free processes. Netnocor 5320 Multi-metal oil based corrosion inhibitor with volatile effect Thin oil coting • Protects metal parts. 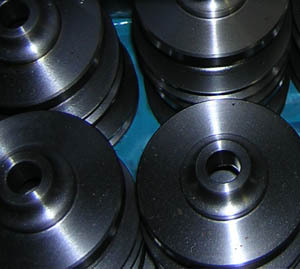 Steel & Iron Invisible, dry coating • To clean metal parts after machining. • As a detergent added to washing line. Netnocor 7100 Water based detergent for Steel and Iron Alkaline liquid without corrosion inhibitors. • To clean metal parts after machining. © 2017 Netnocor. All Rights Reserved.